Published: June 19, 2015 at 02:12 p.m.
FOXBOROUGH, Mass. 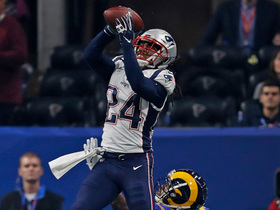 -- At one point during the New England Patriots' final minicamp practice, "Crazy Train" was blasting from giant speakers, an appropriate soundtrack for a thoroughly weird, going-off-the-rails offseason and the practices that resulted. Tom Brady has jealously guarded his first-team snaps ever since he seized the job from Drew Bledsoe so many years ago, never forgetting that he was a sixth-round draft pick, never believing he was so secure in his job -- so accomplished in the quarterbacking pantheon -- that he had nothing to fear from an understudy. But underinflated footballs have shaken Brady's reality -- and, by extension, the Patriots'. And so there Brady was, side-by-side on the field with Jimmy Garoppolo, each of them working with members of the first team during an 11-on-11 session this week. Brady could not have enjoyed the setup. We don't know for sure, though, because he has not spoken in public since he was suspended for the first four games of the 2015 season.But as Brady prepares for his appeal hearing next week, the Patriots head into a summer vacation that will be clouded by the uncertainty of his status for the first quarter of the season. And so Bill Belichick did what he always does -- what is best for the team -- and gave Garoppolo substantial time with two of the most important weapons in New England's arsenal, Rob Gronkowski and Julian Edelman, while also signing Matt Flynn as an insurance policy. 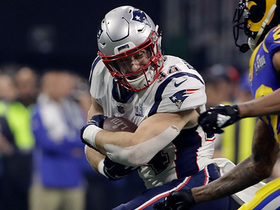 Watching this strange spectacle play out made the Super Bowl feel like a distant and rapidly fading memory, except for the outsize rings that the Patriots received last weekend at owner Robert Kraft's home. Those are sparkling reminders that whatever happened with those footballs, and whatever happens with Brady this summer, nobody should think that the scandal will shake the underpinnings of the Patriots so much that they will not be the team to beat when the games finally resume in September. No coach in the NFL is better at adjusting -- to player injury or attrition, to incompetence or distraction -- than Belichick. If Brady is unavailable for even the full four games of the suspension, there is little question that Belichick and Josh McDaniels have a plan to put Garoppolo in a position to succeed -- just as they crafted one, on the fly, for Matt Cassel when Brady was hurt in the opening minutes of the 2008 season and the Patriots won 11 games anyway. Belichick's mantra then was simple and applicable to the current state of affairs: "As a team we all just have to do our jobs. That really doesn't change. He (Brady) played one position, he played it very well. We have somebody else playing that position now." In fact, the task should be somewhat easier now because the Patriots have the benefit of time. Cassel hadn't started a meaningful game since high school -- having spent his USC career behind Heisman Trophy winners Carson Palmer and Matt Leinart -- when he was forced into action in New England. He had been only a backup behind Brady, so his snaps with the starters were extremely limited. Garoppolo has had the advantage of getting time with the first team throughout the offseason and quite possibly in training camp. Garoppolo was put through the same rigorous paces as Brady this week, with that same blasting music to create stress and force improved communication. When there was a substitution error in Garoppolo's group, Belichick made the entire unit -- including coaches -- run a lap. And the season before Brady's injury, 2007, was a case study in how to manage a distraction and how to rally a team around a perceived slight, two skills that Belichick is already deploying again. That year, the videotaping scandal that came to be known as Spygate erupted after the season opener, and -- with Belichick implicated -- the Patriots merely managed to craft a 16-0 regular season in which they routinely thumped opponents with a fury informed by their own persecution complex. Belichick managed to wall off his players from the furor outside the building by taking responsibility for the issue and instructing them to say nothing about it. The Patriots knew, though, that much of the outside world thought they won because they cheated. They were intent on proving otherwise. You could see the stirrings of a similar strategy this week. 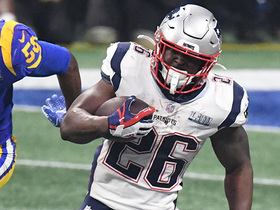 The Patriots, upset about the way they have been portrayed by the media during the investigation and resulting penalties over the underinflated footballs, mostly shut out national media from covering their offseason practices, a move that is within the access rules of the NFL but which is practically unheard of. And in interviews, players stuck to familiar talking points. Gronkowski and Danny Amendola answered questions about how the offense was functioning under the unusual circumstance of having to essentially prepare two starting quarterbacks with almost verbatim language. "We're functioning like any other time," Gronkowski said. "We're coming out here just trying to get better. As an individual, by myself, just going out there working on what I need to work on and to help out the team, so when my number's called, I can make a play." 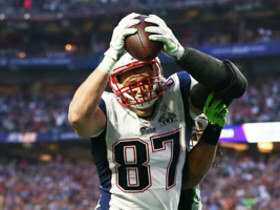 It was a predictable, familiar answer from Gronkowski, whose brotastic celebration of the Super Bowl has provided some of the few glimpses of levity from the Patriots this offseason. But it was also an early indication of how the Pats will approach the upcoming season, with or without Brady. They will narrow their focus, compartmentalize their worlds and feed off the doubts of outsiders. And then, despite the personnel losses that might have diminished their overall talent level from the Super Bowl team -- and closed the gap with their improved division rivals -- they will almost certainly start winning again, no matter which quarterback is under center. 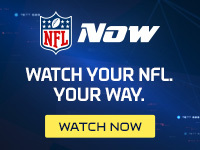 That will prove what we have known all along: The Patriots didn't need underinflated footballs, any more than they did improperly-recorded videos, to win all those games and accumulate the ever-glitzier rings. By the time the team returns in six weeks, it is likely to have at least a little more clarity about when Brady will play, assuming Commissioner Roger Goodell has decided the appeal and Brady has made his decision about whether he will take the league to federal court. The Crazy Train -- and the crazier practices -- will eventually stop. And they might leave the Patriots in a familiar spot: alone against everyone else -- but alone at the top.